Without libraries, who are we? We have no past, and no future… This fascinating book tells for the first time in English the story of the first great universal library in the age of printing — and of the illegitimate son of Christopher Colombus who created it. Hernando Colón spent his life trying to build the first universal library of print: personally scouring bookshops in an attempt to acquire a copy of every book, he brought them back to his library in Seville, where he drove himself mad attempting to devise how best to navigate and organise the world of print. Hernando lived in extraordinary times. He knew Erasmus, Dürer and Thomas More, was at the forefront in the first international conference to determine the circumference of the world, led the team that created the first world map on scientific principles — and invented the modern bookcase! Hernando’s life placed him at the centre of the ages of exploration, print, and the Reformation: he spent a year living with his father marooned aboard a shipwrecked hull off Jamaica and wrote the first biography of Columbus. To reconstruct his life is not only to recover a vision of the Renaissance world, but also to appreciate the passions and intrigues that lie beneath our own disciplined attempts to b ring order to the world. THE CATALOGUE OF SHIPWRECKED BOOKS is an unforgettable journey through these layered realities — and a bibliophile’s dream! Last night saw the launch of THE CATALOGUE OF SHIPWRECKED BOOKS in the beautiful Wren Library in Cambridge. Home to over 700,000 books printed before the 1820s, medieval manuscripts and archives, the Wren Library was the perfect location to launch the captivating biography of a man who dedicated his life to the collection of books. 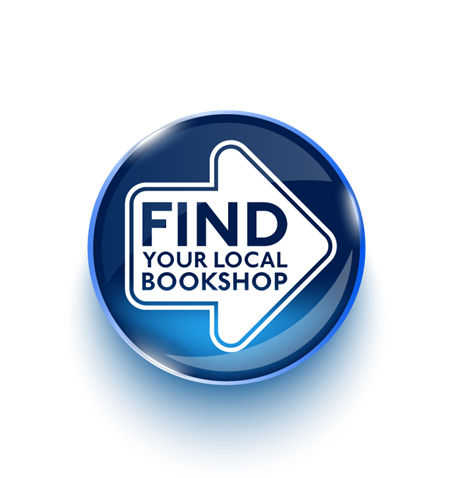 Edward will be appearing on BBC Radio 4’s Open Book programme on Sunday 20 May to talk about Hernando’s library. Rights to THE CATALOGUE OF SHIPWRECKED BOOKS have been sold internationally in France, Spain, Germany, Japan and Italy, with more international news to come shortly! Déjà vu or something much more sinister? That is the question Charley and her husband ask themselves when disturbing memories emerge at an old mill house in this spine-tingling tale by Number 1 bestseller Peter James. SWEET HEART is released by Orion for the first time in audio today, with the story read by Anna Acton and a suitably spooky new foreword to the novel read by Peter James himself. 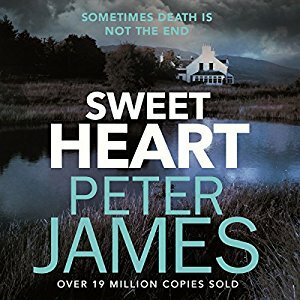 SWEET HEART is the second classic Peter James suspense title to have a new audio release, after THE TRUTH last year, followed by its 20th Anniversary Edition paperback edition this February. The new paperback edition of SWEET HEART will be in stores in July 2018. A further eight backlist titles are set to be republished and released in audio by Orion, including FAITH and HOST. Charley has a strange feeling when she sees the idyllic mill house with its cluster of outbuildings, the lake and the swirling mill stream; a powerful sense of recognition, as if she has been there before. Except she knows she hasn't. After Charley and her husband Tom move into Elmwood Mill, sinister memories of a previous existence start to haunt her. Despite both their attempts to dismiss everything with rational explanations, the feeling turns to certainty as the memories become increasingly vivid and terrifying. Charley is persuaded to undergo hypnosis – but in searching deep into her past, she unwitting opens a Pandora's box of evil ... and now the terror is free. In January 2018, Peter was awarded an Honorary Platinum Award at the Specsavers Bestseller Awards, recognising his considerable achievement, selling over five million copies in the UK over ten years. He will enter the Nielsen 21st Century Hall of Fame for bestselling authors. In Poland he received the Lubimyczytać.pl Horror Book of the Year Award for 2017 and his outstanding contribution to the international crime writing genre was also celebrated last October, when he travelled to Germany to receive the first Rheinbach Glass Dagger Award for Crime Fiction. Peter James is a New York Times bestseller, as well as achieving multiple Sunday Times Number 1s. His work is published in 37 languages and his novels have sold 19 million copies worldwide. His novel PERFECT PEOPLE was shortlisted for the Wellcome Prize and he won a Barry Award for Best British Crime Novel in 2012. He has won numerous other awards, including the coveted 2016 CWA Diamond Dagger for sustained excellence, and he was publicly voted by WH Smith – Britain's biggest book selling chain – The Best Crime Author of All Time. Bestseller Peter James’ Backlist Coming to Audio for the First Time from Orion Audio! 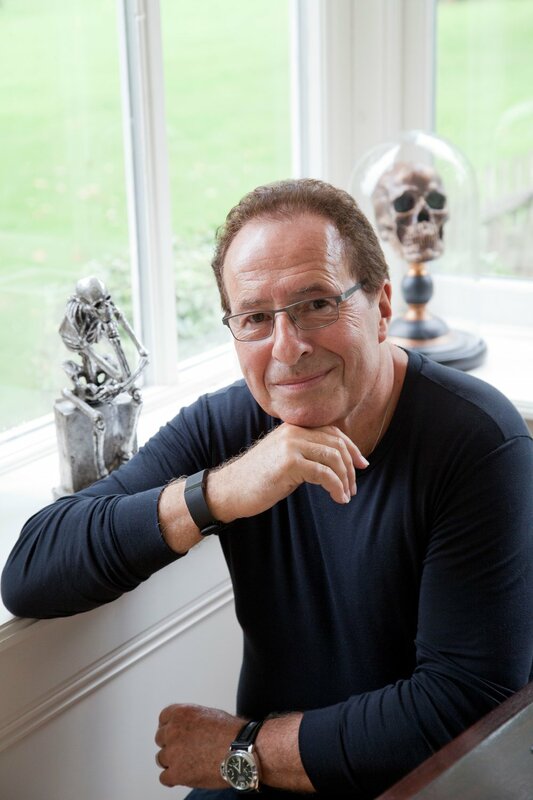 Orion Audio have acquired world audio rights from Isobel Dixon at Blake Friedmann for 10 of Peter James’ chilling suspense novels and will be bringing the titles to an audio audience for the first time. Peter has secured 12 consecutive Sunday Times No.1s, and his novels have won numerous awards, most recently the coveted 2016 CWA Diamond Dagger for sustained excellence. THE TRUTH is the first of the classic backlist titles to be released on audio, read by Matt Addis, with a new introduction recorded by Peter James himself. Released this December for listeners, the audio edition will be followed in February 2018 by a 20th Anniversary Edition paperback. THE TRUTH kicks off a series of 10 releases over three years to bring the whole of Peter’s classic backlist into audio unabridged, including SWEETHEART, FAITH, HOST, TWILIGHT, DREAMER, ALCHEMIST, POSSESSION, DENIAL and PROPHECY. About Peter James: Peter James is an international bestselling thriller writer. He is a New York Times bestseller, as well achieving multiple Sunday Times No 1s, and his work is published in 37 languages. His DS Roy Grace crime novels have sold 19 million copies worldwide. In 1994 Penguin published his novel, HOST, on two floppy discs as the world's first electronic novel. He has won numerous awards, most recently the coveted 2016 CWA Diamond Dagger for sustained excellence, and he was publicly voted by WH Smith – Britain's biggest book selling chain – The Best Crime Author of All Time. Hodder will re-issue Ted Allbeury's classic spy novel, THE TWENTIETH DAY OF JANUARY. Set in 1980, Ted Allbeury's THE TWENTIETH DAY OF JANUARY imagines Russia meddling in the election of a wealthy businessman to the US Presidency. 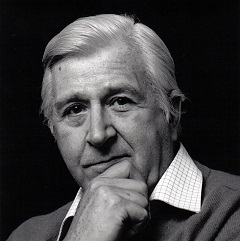 Hodder & Stoughton audio editorial director Dominic Gribben said: "Ted Allbeury was one of the most consistently excellent and impressively prolific espionage fiction authors of the Cold War period and beyond. He deserves to be read more widely today." The publisher has also acquired UK and Commonwealth audio rights, from Juliet Pickering at Blake Friedmann, and will publish for the first time as an unabridged audiobook alongside the paperback reissue. THE TWENTIETH DAY was re-published in the US this year by Dover Editions. Allbeury was a Lieutenant-Colonel in the UK Intelligence Corps during World War II, and later an executive in marketing, advertising and radio. He began his writing career in the early 1970s and became well known for his espionage novels, but also published one general novel, The Choice, and a short story collection, Other Kinds of Treason. His novels have been published in twenty-three languages, including Russian. He died in 2005. Author Deon Meyer says: "I discovered Ted Allbeury when I was about 15 years old. I am re-reading him now for the first time in 40 years and the amazing thing is that that the writing has not aged. He is still as smooth and as great a storyteller now as when I experienced him at 15. The Cold War was a fascinating time. Now with Russia showing aggression, it has become very topical again."